I'm so excited about this project. I don't even dream it will be so cool to make. This is my design I'm very pleased with final result. I wake up 3 days ago on the middle of the night with idea in my head and I tried to recreate it since then.When you see how easy it is to make this box/deco/Christmas star you will be gone for hoursin your craft room. Yes... I'm telling from my own experience. I made about 20 of these and I plan to spend few more hours to do more. 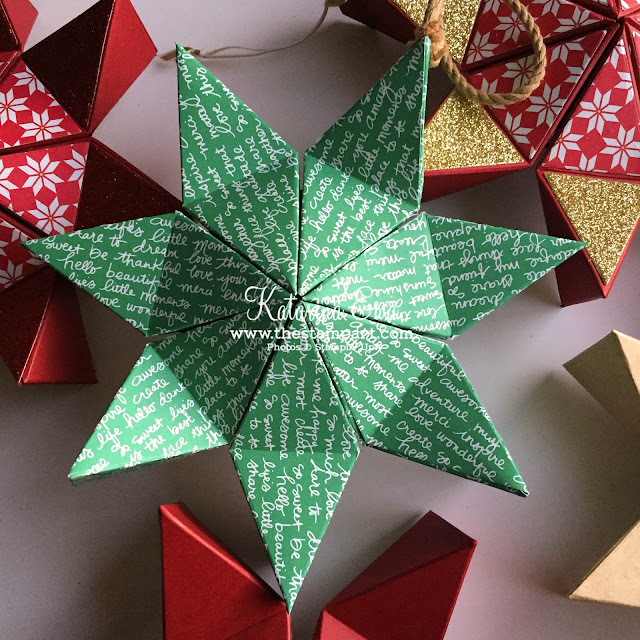 This star coordinates with Quilted Christmas bundle and you will need only ONE 12" x 12" sheet of paper or card stock to make it! Finished look depends only of your imagination and preferences - watch the video and see yourself. Tutorial for this star is for my subscribers only. But you are very welcome to join my craft community. Sign in to my newsletter and get instant link to video + PDF. Instant means newsletter will send you this tutorial automatically in no time, so you can enjoy it right away.